Heats from 800 to 1,800 sq. ft.
*Wolf Steel Ltd. own test results showing realistic BTU’s using hardwood logs with regular refueling. 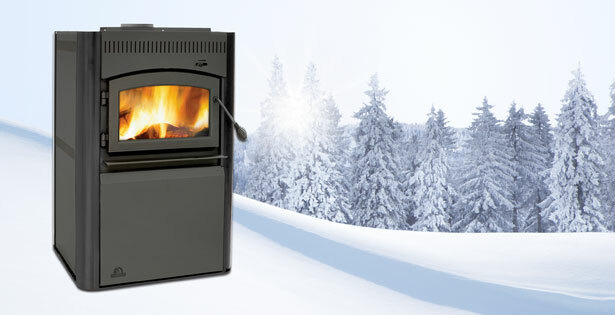 Heat output will differ on chimney draft as well as type, moisture content and size of wood. **Figures may vary with individual conditions such as floor plan layout, insulation value/heat loss of the house, geographical location and pellets used.